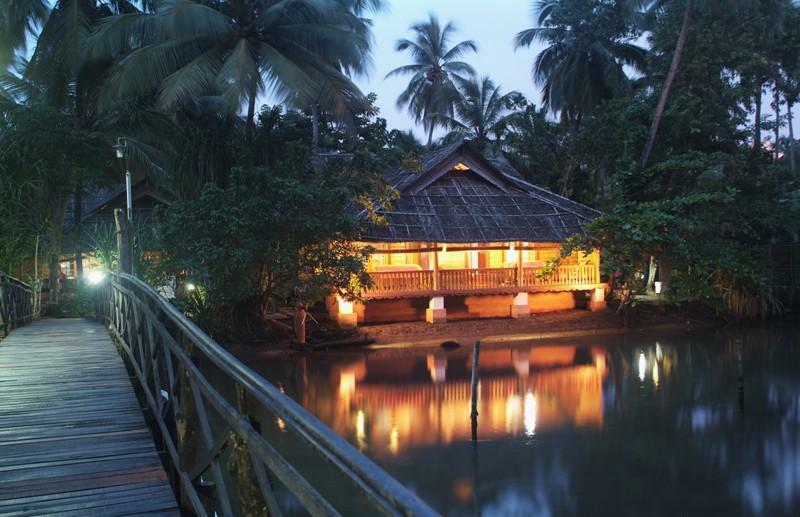 Kadappuram Beach Resort is an eco friendly environment in a virgin golden sand beach in Trichur. 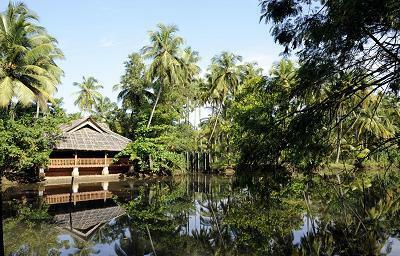 Kadappuram Beach is just 225 meters away, and separated from the hillock on which the resort is perched, by a picturesque canal. 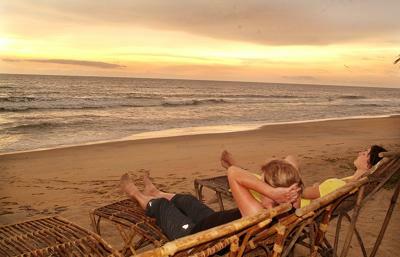 The wide and long golden sand beach is only two hundred meters from the cottages in the same compound. 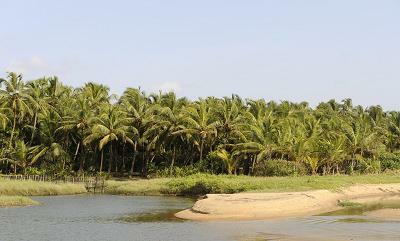 The beach is clean and long. 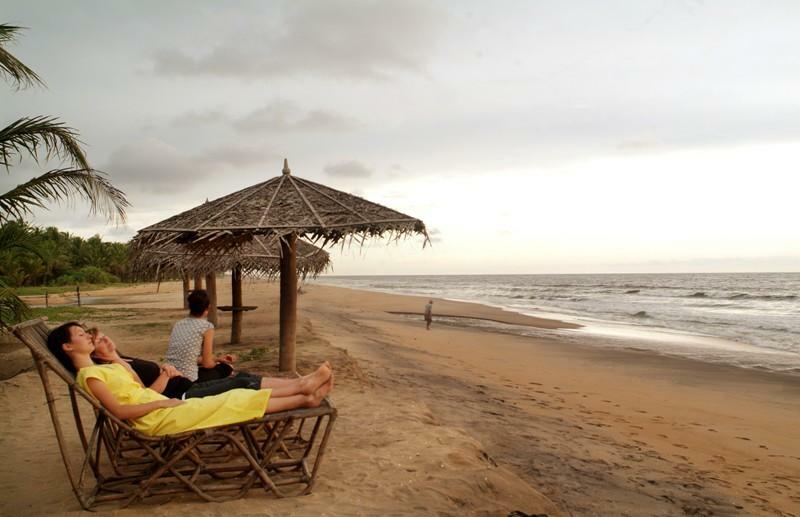 Deep sea fishing, beach Volleyball or badminton are the added attractions of beach life. 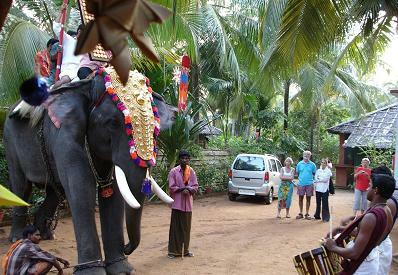 The concept of this resort is to enjoy the village life and beach life of Kerala. 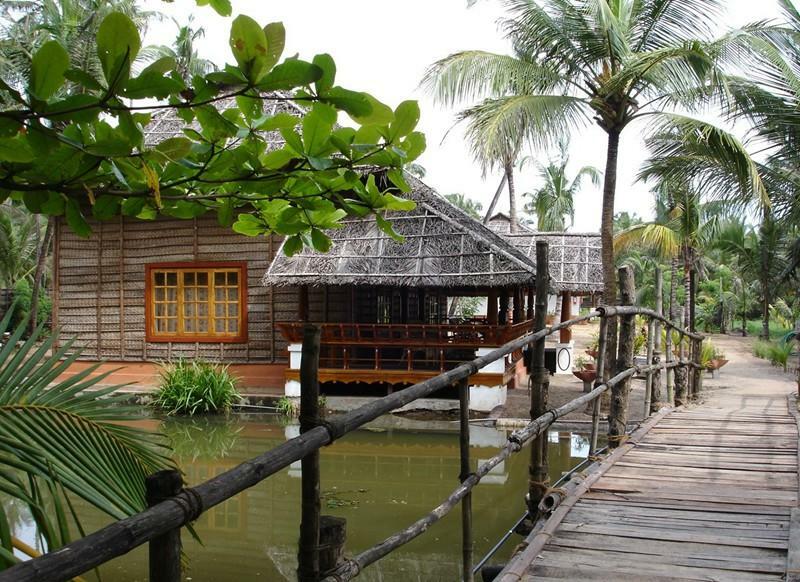 Kadappuram Beach Resort is an eco friendly environment in a virgin golden sand beach in Trichur. 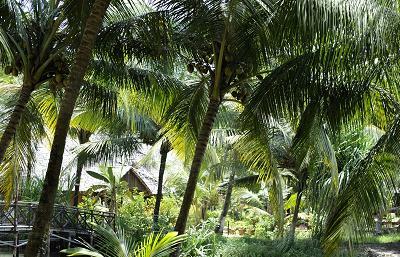 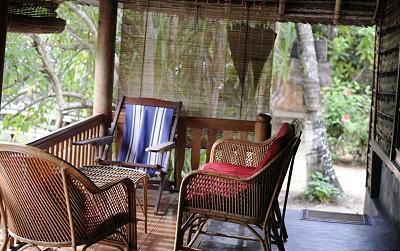 19 Double rooms in 10 cottages spread over 7 acres of Coconut plantation at the beach. 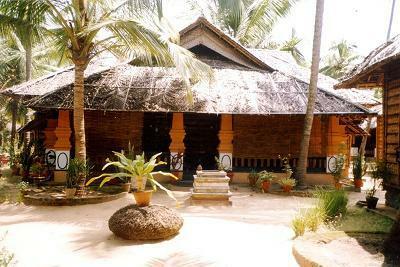 The cottages made with locally available materials and built in traditional style are naturally cool. 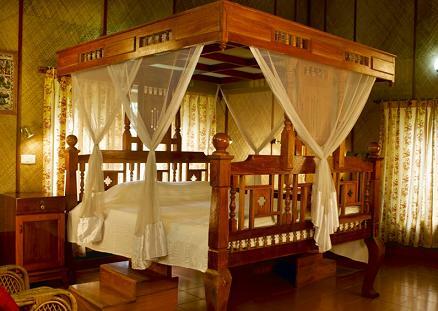 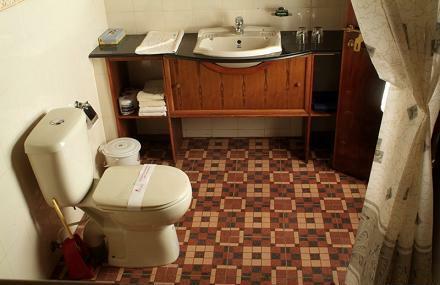 Each room is provided with a large double bed, bathroom with W/C, shower, Refrigerator, Hot and cold running water, Cable TV. 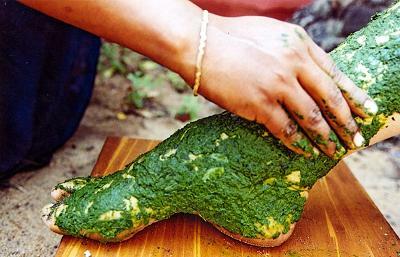 Restaurant serve homely cooked pure Kerala vegetarian and non-vegetarian dishes, minimizing the influence of other parts of the world. 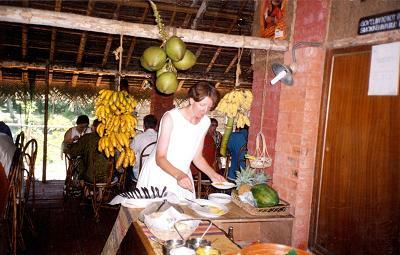 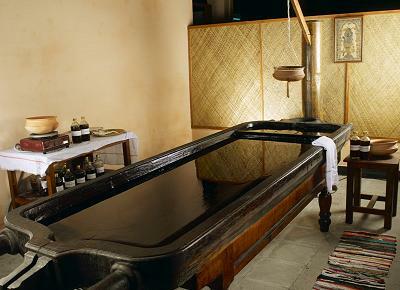 Food is cooked and served in Kerala traditional style or buffet. 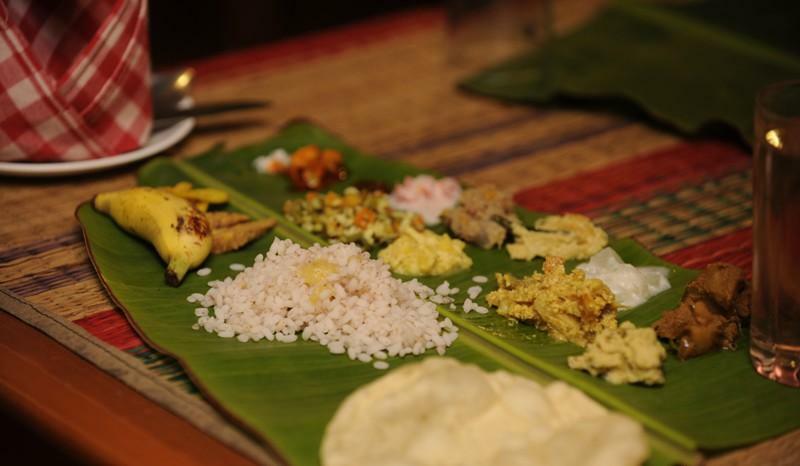 Varieties of dishes available as spicy, non-spicy, vegetarian, non-vegetarian etc; also choice of different varieties of fruits. 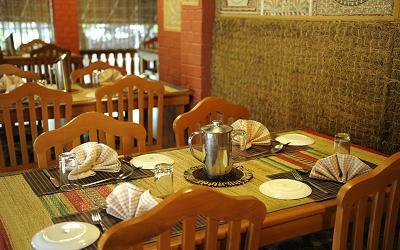 Special care is taken to minimize the repetition of same variety, tea/ coffee and snacks are served in the restaurant at any time of the day without any extra cost. 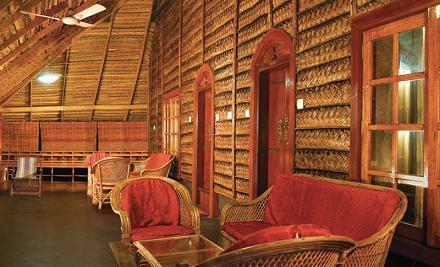 Developed by Indian sages, is embedded with culture of India. 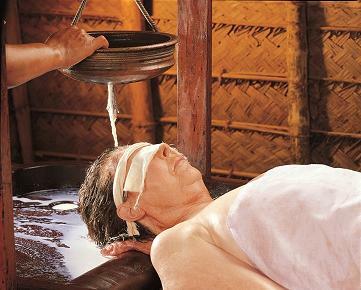 In Ayurveda, health, beauty and healing rely on freeing the body ..
A world of comfort, caring service and world-class facilities like Swimming Pool, Multi-Cuisine Restaurant, Ayurvedic Rejuvenation Centre, Money Changing Facilities, Safe Deposit Locker, Laundry Service, Live-Traditional performing arts of Kerala – on request, Sight-seeing trips and so much more…..